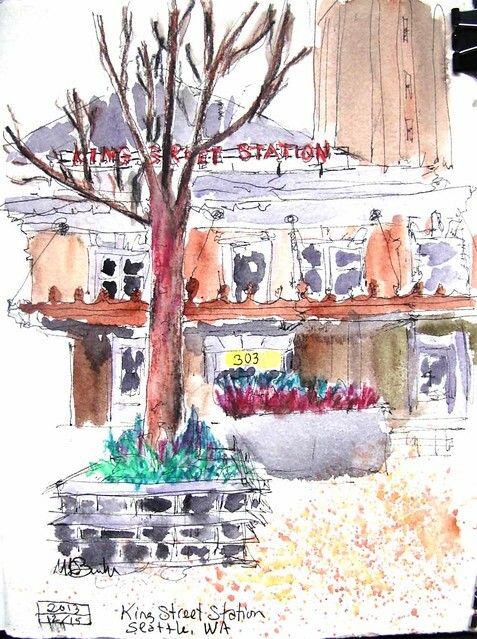 The Seattle Urban Sketchers met for the regular monthly sketch outing at the relatively newly renovated King Street Station. 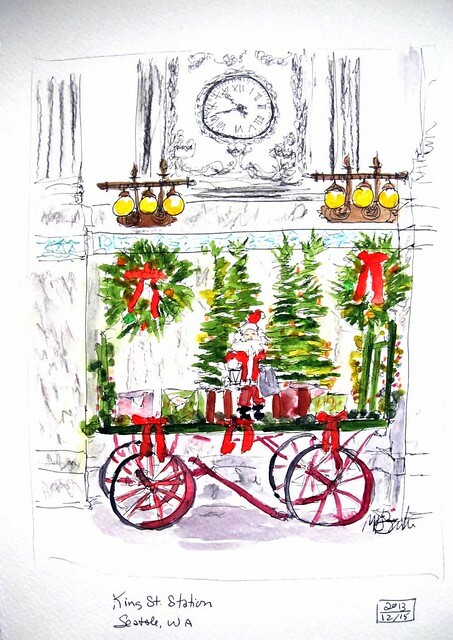 I took the opportunity of holiday decor to sketch what may be next year's Christmas card! I had about 45 minutes left, so I quickly sketched a view from outside. 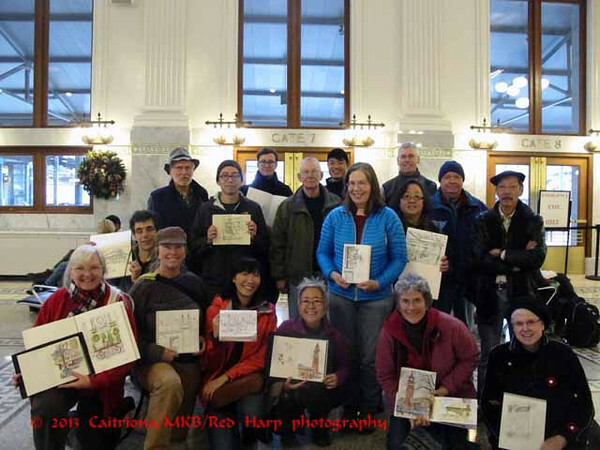 After 2 1/2 hours sketching, we met back up to share our work and have the usual group photo. 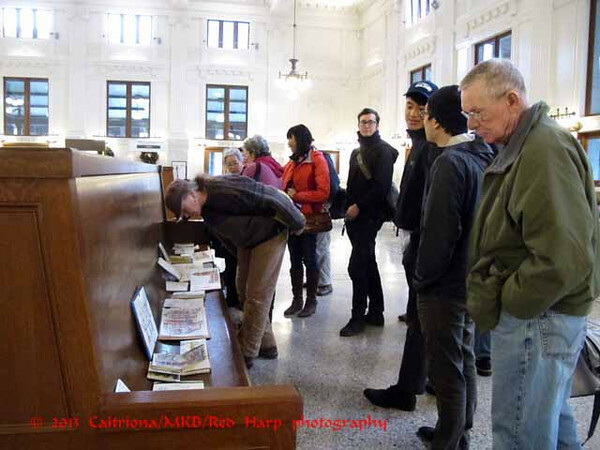 Kate, thanks for always taking a group photo to remember our outings!